Despite being absolutely suitable for human consumption, agri surplus is often treated as waste. For this reason, at the beginning of 2018, FoodForward SA launched Second Harvest, a specific surplus food strategy to reach out to farmers and growers. Since around 50% of agricultural surplus is wasted, FoodForward SA used this untapped opportunity to recover agri surplus to augment FoodForward SA’s foodbanking model, to more effectively address the growing problem of food insecurity in our country. With a R1 million grant from the Global FoodBanking Network (GFN) received in February, to purchase a refrigerated truck and cover operational expenses, FoodForward SA started engaging farmers and growers. We now have several commercial farmers / growers donating bulk surplus produce across the country, including Qutom Farms, Baird Farms, Patagonia Farms, Rennies Farms, Dew Crisp, and Zespri. In 6 months we collected more than 250 tons of fresh produce. This is likely to grow significantly, as more farmers / growers come on board. Since all the produce is donated, the only cost to FoodForward SA involve the collection of the produce, while they harvest. The additional agri tonnage has boosted the nutritional value of the basket we provide to our beneficiary organisations that provide community-based feeding programmes, and results in significant cost savings to beneficiary organisations that would otherwise need to procure expensive food to serve the poor. One of the challenges we faced when recovering agri surplus was the time sensitive nature of fresh produce. While we could place most of the product in ambient or cold storage, items such as lettuce, tomatoes, and kiwi fruit needed to be distributed almost immediately. Out of this challenge another surplus food strategy opportunity was birthed – agri food processing of raw materials to achieve shelf stable products, and allowing FoodForward SA to distribute food over a longer period of time. 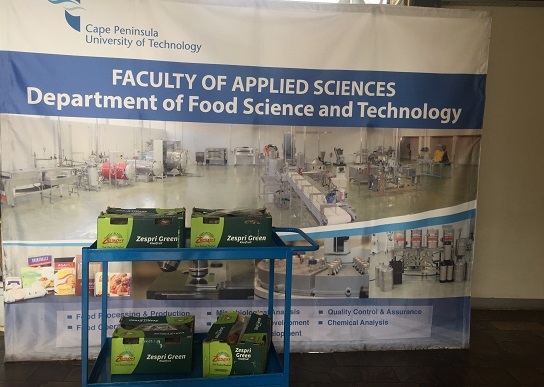 Thanks to an introduction from Woolworths, FoodForward SA partnered with Agrifood Technology Station (ATS), a division of CPUT, in an effort to extend the shelf-life of highly perishable agricultural surplus. ATS has a fully functional food processing plant at their Bellville campus. With a bulk donation of kiwi fruit from Zespri, we are experimenting with making kiwi jam, fruit rolls (also called a fruit leather), and dehydration. Initial samples are really good and opens a whole new avenue for surplus food to be used in this way. Other opportunities that could result from this include FoodForward SA facilitating the set-up of social enterprises to boost job creation, provide income opportunities for the poor, and skills development for youth and women. Around 14 million people in South Africa are food insecure and battle to access food daily. South Africa’s food security problem is widespread, complex, and requires social innovation and the use of technology to implement cost effective strategies that uses surplus food as a catalyst for social change. This is yet another example of how partnership makes possible the achievement of reaching several of our Sustainable Developments Goals (SDGs), including no poverty, ending hunger, good health, decent work, industry innovation, reduced inequalities, and sustainable cities.